I like my food with a touch of spice but nothing too over the top. I feel if something is too hot then it can ruin the flavour of the food. Some of our family go to great extremes of planting or acquiring some of the world’s hottest chilli peppers or sauces related to them and this reminds me of a traumatic incident that I had with a certain mind-blowing chilli sauce. I had trotted off to the garden for a bit of a landscaping project with my cheese rolls quite happily in the knowledge that my wife had lovingly prepared them whilst I was hard at our chicken keep project, although it wasn’t until lunchtime that I could eat them. At 1pm after fixing the chicken keep with chicken wire, I sat down to munch on the first one, smiling to myself because she had put on tomato sauce; just how I like it. I took a great big bite and after chewing for a few seconds this intense fire started raging in my mouth and my lips started to burn. Upon taking the roll apart I noticed that this was not tomato ketchup but chilli sauce and not just any chilli-sauce. Claiming to be one of the worlds hottest I wouldn’t be surprised if it wasn’t. It was also amazingly delicious and actually grown in one of my troughs at home with my newly installed water timer and automatic watering system. I immediately rang my wife at work and asked her what she was playing at to which she replied; “don’t ever argue with me in the morning again” and then proceeded to laugh at my predicament, I think I’ll check more carefully what the seed trays are holding in the propagators for next summer. Now I did not recall any argument at that time and I still don’t to this day but it did make me slightly more cautious and now I buy all of my own lunch, but it’s quite clear we took excellent steps to improve our soil quality. But enough about my day let’s look at these lovely highly powered fiery chillis we all know so well, and some of us love! 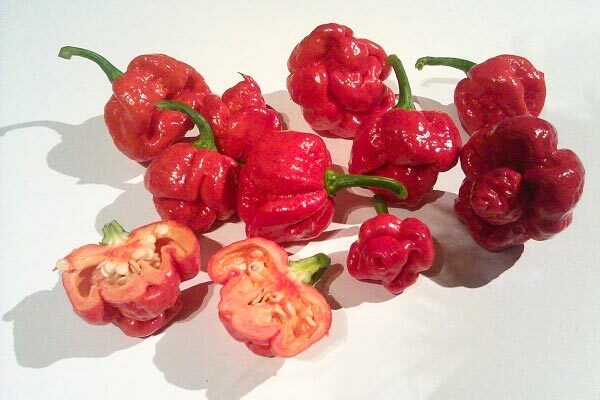 In the hunt for the world’s hottest chillies I thought I would write about 5 of the hottest bad boys in existence. 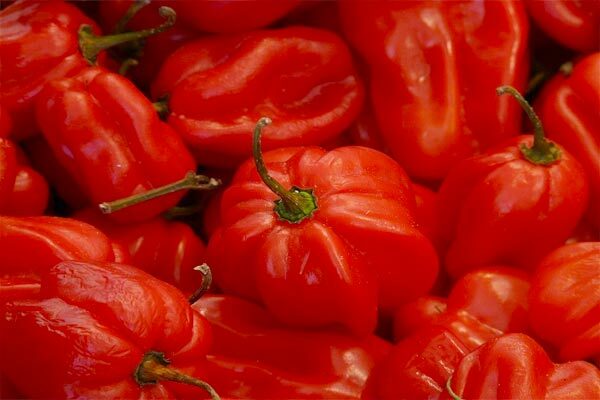 Easily one of the more recognised chillies and is also known as Caribbean red peppers, Scott Bons and Bonney peppers amongst other things. 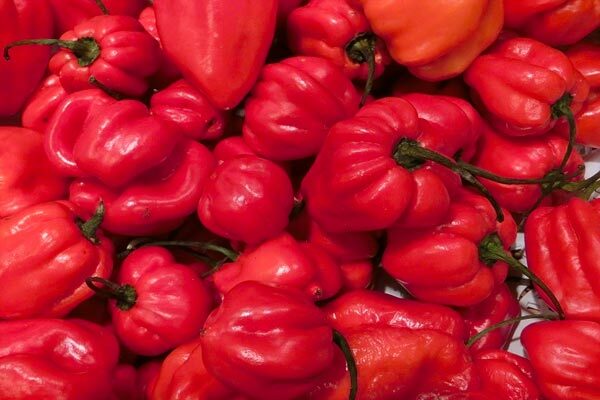 Often used in Caribbean sauces where they are native to, Scotch Bonnets are popular all over the world for their distinctive flavour and intense heat. To avoid this heat it is recommended to remove the seeds before cooking, just scrape them off with a sharp knife, and save them for other uses in the kitchen or you could use these seeds to grow plants free next year. While not all Scotch Bonnets are hot, there also sweeter varieties available. A cousin to the Scotch Bonnet variety, Habaneros are green when they are unripe and develop their orange or red colours as they mature. It is not uncommon to see white or pink habaneros either. The Habanero dates back to an impressive 8500 years and its origin is said to have originated from the Amazonas and from there it spread through South America. Claiming the crown of the world hottest chilli in 2000, it has since slipped into 4th position but it really is not a weak plant by any stretch of the imagination. The fruity and citrus like flavour makes this a very popular ingredient in spicy food and sauces. 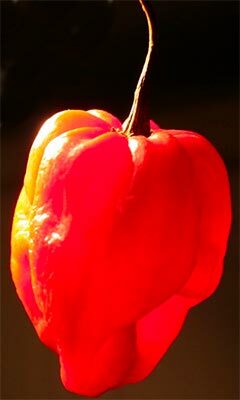 A very successful variation of the normal habanero pepper and is also said to be twice as hot. Its origins are credited to Frank Garcia of GNS Spices based in California, but little is known about the methods used to grow this impressive chilli, although the rumour was that he found a red chilli in amongst all of the orange Habaneros, and used the seeds from that to create this impressive strain. In 2007 the Red Savina was replaced as the Guinness World Records hottest chilli. The chilli with a thousand names, ok not quite a thousand but it does seem to have more than normal and it’s no surprise as to why. Rated a massive 400 times hotter than Tabasco this chilli broke all records in 2007 and held the crown for 5 years. Grown in India, it gets its many different names from the various regions it is grown in. 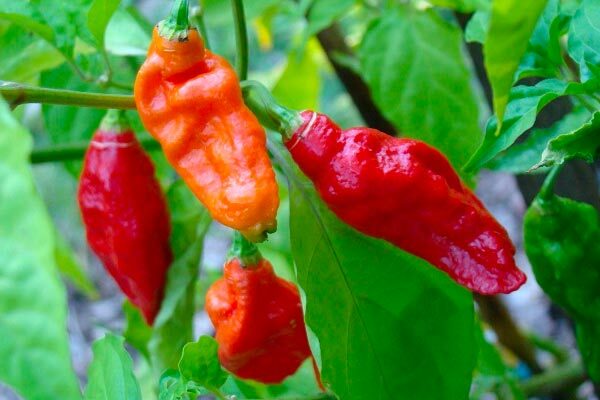 It has recently been revealed that the climate has had a huge effect on the Jolokia chilli with some reporting’s of it losing up to 50% of its Scoville rating. As of February 2012 this gold ball sized chilli took the crown off of the Naga Bhut Jolokia by almost doubling the previous record. Despite the immense heat the fruit is said to have a tender fruit like flavour but once the heat gets you it can be quite nasty. Endemic to Trinidad and Tobago, it is now grown all over the world although the growing seasons can vary with the temperatures; a hard frost will certainly kill the plant. There’s a lot you can do to handle snow and frost in your garden. The Scoville rating was originally devised in 1912 by American pharmacist Wilbur Scoville. It was invented to measure the level of Capsaicin which stimulates the nerve ending in our skin. The measurement of one part capsaicin per million equated to around about 15 Scoville units and can go all of the way up to 16,000,000,000 (billion). 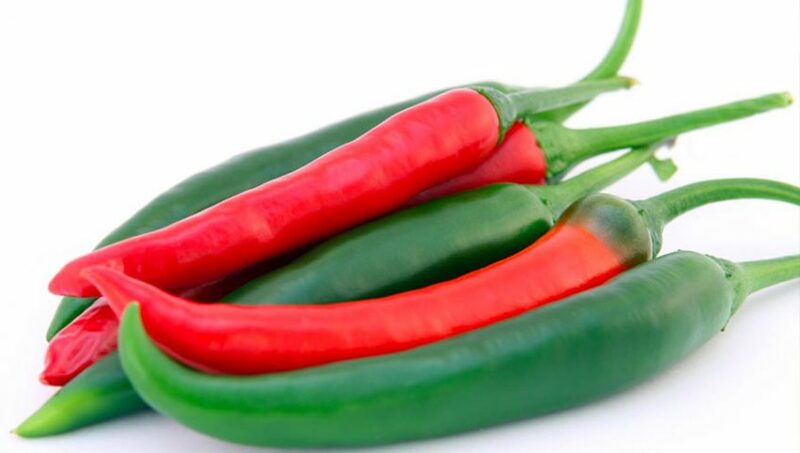 To give you an example, the Jalapeno pepper which is known to have a bit of a kick to it normally has a heat rating of 2500-8000 on this scale, compare that with something like the Trinidad Moruga Scorpion and it would not be a surprise if you ran to the fridge to consume as much milk as possible. If you are not used to the intense heat that can come with eating or using chillies but still want to try one. Keep a glass of milk as close as possible. It doesn’t completely cure you but it will help take the heat away. Think about drying out some fresh chillies, these can be super handy when cooking and needed some extra spice.